Gold Coast (OOL) & Cairns (CNS) airports have had a win with Hong Kong Airlines announcing that they will continue their service to the Queensland airports year round. The news comes just one month into the three month temporary Chinese New Year charter flights HX are operating from January to March. Hong Kong Airways a subsidiary of Hainan Airlines currently operates these services 3x weekly from Hong Kong to the glitter strip, then back to HKG via CNS, using an Airbus A330. The new permanent service will operate twice weekly on the circular HKG-OOL-CNS-HKG route, and will now be open to local travellers. Honk Kong Airlines is limited to secondary ports like OOL & CNS, due to the bilateral between Australia and Hong Kong, which restricts the number of flights into major airports, that each country is allowed and national carrier Cathay Pacific utilises all the HK rights. 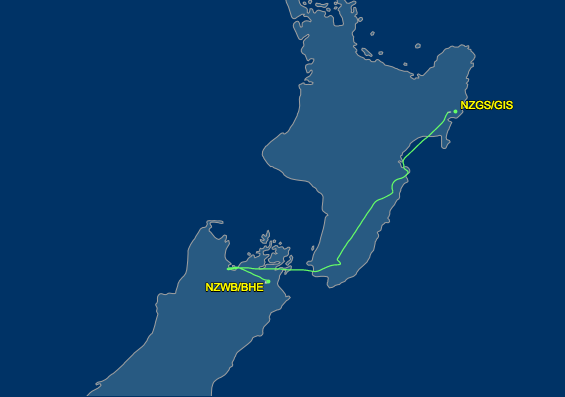 Today saw Jetstar start its full compliment of regional New Zealand routes, with the launch the three remaining services. Jetstar now has 6 regional ports on its services, Auckland through which all but one of the services fly, Napier, Nelson, New Plymouth, Palmerston North and Wellington. AKL-NSN services debuted on 01-December-2016 as did AKL-NPE while today 01-February-2016 saw the launch of the remaining services AKL-NPL*, AKL-PMR* & WLG-NSN. The regional JQ fleet in NZ sits at 5 with QantasLink subsidiary Eastern Australia Airlines operating the following Q300s VH-TQD, VH-TQK, VH-TQL, VH-TQM & VH-SBI on behalf of JQ. As mentioned last year Tigerair will take over the MEL/ADL/PER - DPS services currently operated by parent Virgin Australia from next month. 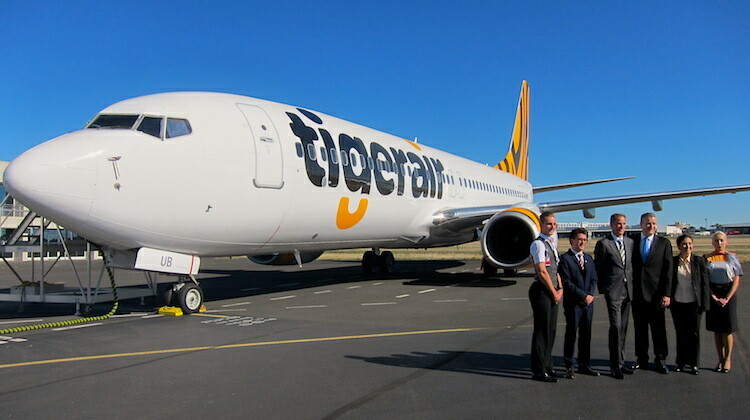 Tiger recently held a media event to discuss the flights and show off the first of their Boeing 737-8FE's which they will borrow from VA for use on the route. The first Boeing 737-8FE in service will be VH-VUB ex ZK-PBJ which was painted into Tigerair livery last year and has sat in MEL since awaiting Tigerair service. The second Boeing in Tigerair livery will be VH-VOR ex ZK-PBF which completed its last VA revenue service yesterday Sunday 31-January-2016 when it arrived into Brisbane as VA1496 from Hamilton Island, it then positioned to Townsville as VA9901 where it entered the Flying Colours hangar for the repaint.